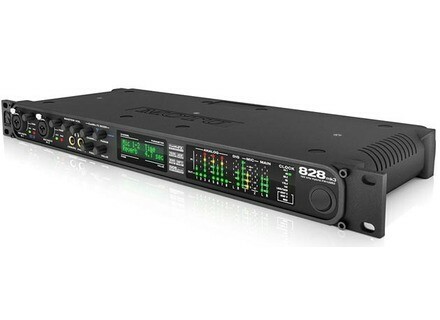 828 mk3 Hybrid, USB audio interface from MOTU in the 828 series. mrjason's review"control it from an iPad"
The MOTU 828mk3 Hybrid is a interface that has 2 mic preamps and 8 TRS inputs with 8 TRS outputs. This interface can work either with USB or Firewire which is a huge plus for me, being able to have the option to work with either Firewire or USB connection is a nice option to have when it comes to this type of interface because not all systems/computers have a Firewire connection. I have used this interface on 2 different computers in the past one with USB and one with Firewire. I was also able to use CueMix (the software that comes with it) with my iPad via an app that can be downloaded from the App store. I pretty much had full control over this interface via the iPad as long as there was a WiFi network available to use. This came in handy because I didn’t have to keep going and grabbing my computer mouse each and every time I wanted to adjust some volumes and that was a lot easier than having to run to the computer from the other side of the room. The iPad app was a huge plus for MOTU with this interface and it is a huge selling point. 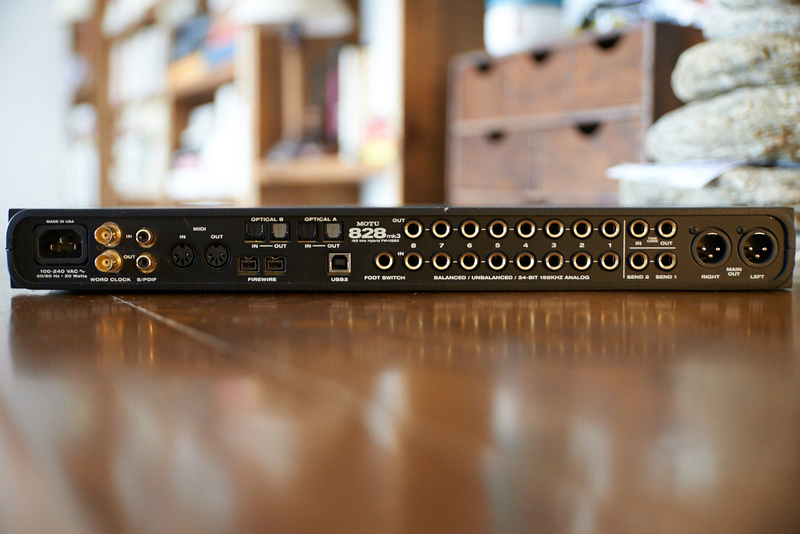 The preamps sound pretty good, but I wish they were a little more “natural”. They do have a tendency on certain microphones to lightly color the sound a little bit. It was hardly noticeable to me but I could still tell. This interface does not get its power from USB connection and needs to be plugged into a wall. But it looks great in my rack and I have been using it for a while now. It is pretty much still being used as one of the main interfaces in my personal studio and has been for some time now. I have plenty of outputs and cool features with this interface. It just depends on which microphone I use with it. 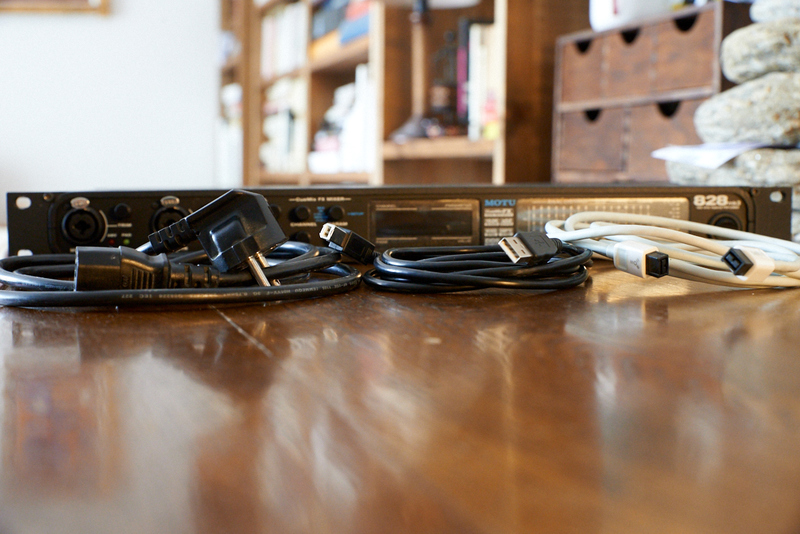 t42krs's review (This content has been automatically translated from French)" Good price quality report"
The possibility of using either usb or firewire. This allows me to be of use on my Imac or be on my laptop for a nomadic use. No problem with the drivers that will be on pc and mac via the Ableton Live software. I used the 2 master output, 4 output effect send and track 4 comes into effect return, the latency is quite reasonable. No care of installation and implementation, I have no need to open the manual. I used the last eight months, for the time j am fully satisfied, a very good report quality price. Only small downside the sound quality (which is good) is not worth my old sound card Apogge Duet (which is the same price with just two in and two out), but given the number between and output the fact that it is rack for the price, I do it again this choice without asking any question. no time to write an expos on the subject I leave a simple note. Vévé's review (This content has been automatically translated from French)" Good interface"
Installation without any problem if it is the one quoted above. Of course I updated the firmware and drivers. I use it for 5 months, I tried some other sound card as Tascam 1648, 144 ... We are in another world with the Motu, maybe not top notch but it is close. I love the routing options: I'm using the console "control room" Nuendo 4 stereo sends musicians to talk back system with each consignment controlled by a foot pedal to keep your hands free .. The number of analog and digital inputs are more than enough and you can easily end up with 26 inputs via ADAT and 2 analog which is enough for a recording studio ..
MOTU has announced the 828mk3 Hybrid, an enhanced version of the MOTU 828 audio interface that now provides connectivity to Mac or Windows computers via Firewire or high-speed USB 2.0.